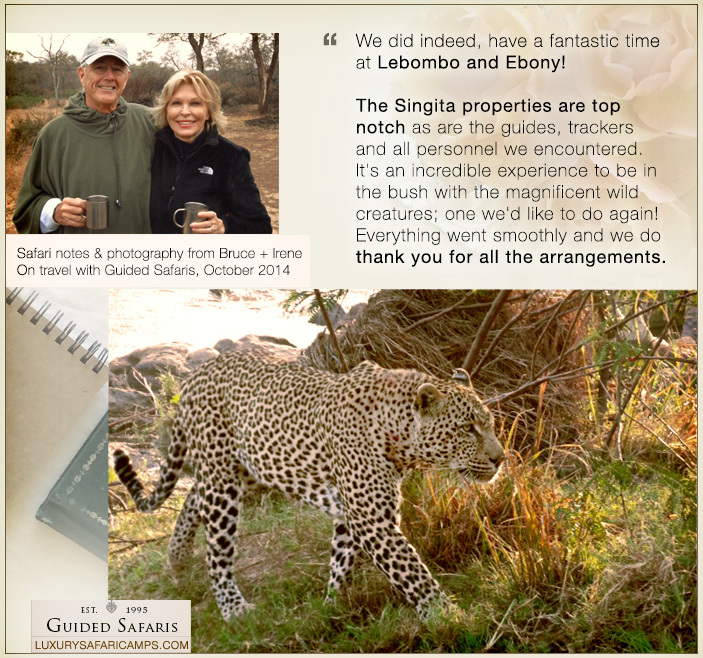 Guest Photography featuring a beautiful leopard captured on safari, shared on October 6, 2014. Inspired? Follow Bruce + Irene’s adventure with our Signature Luxury Safari at Singita Game Reserves.